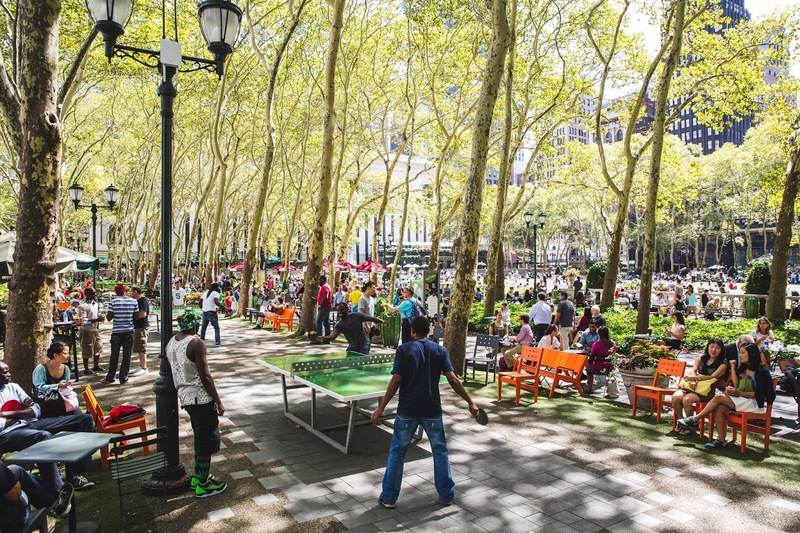 April 1 is the traditional opening date of Bryant Park's daily activities. From new Game Socials to an expanded lineup of special lessons at Art Cart, we are sure that Summer 2016 will the best yet! Last year the activity areas closed at 7pm. We hated having to interrupt intense ping pong volleys or Monopoly games to close the area, so this year we're keeping our areas open an extra hour each evening (except for Reading Room). Keep buying those properties until 8pm! In other good news, the hours will stay the same all summer (in previous years, April and October had shorter hours). The monthly singles and mixed doubles tournaments return in April. New this year are themed tournaments, which will be announced through the summer. Stay tuned to our social media channels and website to be the first to know! In an effort to better serve those interested in participating in our tournaments, registration for the monthly singles tournament (on the first Wednesday of each month) will be conducted through lottery. Art Cart makes a splash on the Fifth Avenue Terrace with workshops from former Painters in Residence who will teach drawing, water color, and illustration. 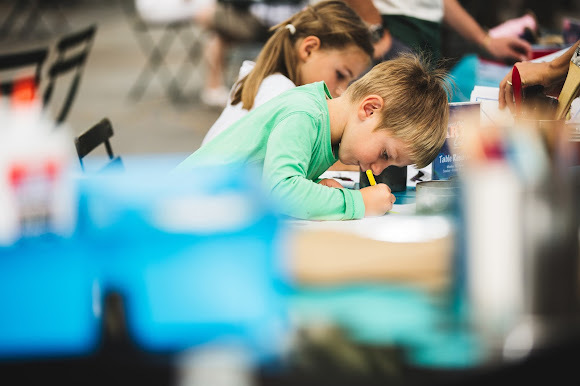 Artist and Craftsman Supply is back for three special crafting sessions, including cardboard loom, water-soluble materials, and scratch. Putting workshops are back this year, taught by experts from Randy Taylor Golf, and this year we've added another date to accommodate interest. In other Putting news, Mini Golf Socials take over the Green on the first Tuesday of each month. All day, enjoy lanes and hazards that will make a fun and challenging course. Kubb Tournaments will take over the lawn three times this summer, so start practicing with your team. Hone your strategy at beginner chess socials, each Thursday from 6-8pm. 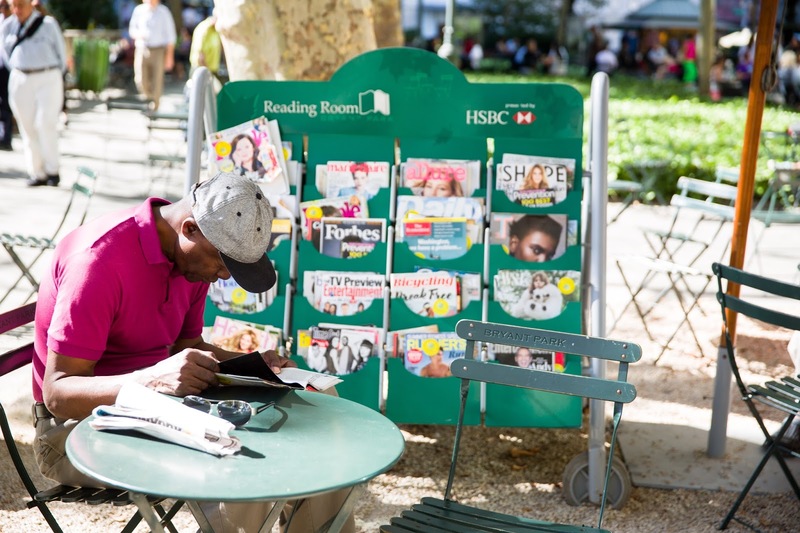 Bryant Park's 50 tabletop games return to the 40th Street Plaza. This year, Game Socials focus on wildly popular "Euro games," including Carcassonne, Wits & Wagers, King of Tokyo, and more. Demos on select days will teach new players everything they need to know. Don't worry, classics like Scrabble and Mah Jongg socials return too. Reading Room boasts a better-than-ever lineup of speakers and special events. Stay tuned for details about new Crossword Tournaments and prove that the Sunday crossword is no match for your skills. Book Club will take place twice each month, alternating between classics and Game of Thrones books. Winter may be coming in the books, but not at the sunny Reading Room! Stay tuned to our website and social media for additions and updates to the schedule. See you soon!